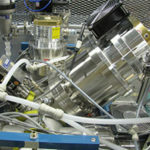 Positive Ion Mass Spectrometry (PIMS) Systems - National Electrostatics Corp.
NEC, SUERC, and Pantechnik have researched and developed the world’s first Positive Ion Mass Spectrometer capable of performance comparable to traditional graphite based AMS systems in an easier, smaller, and more efficient system. 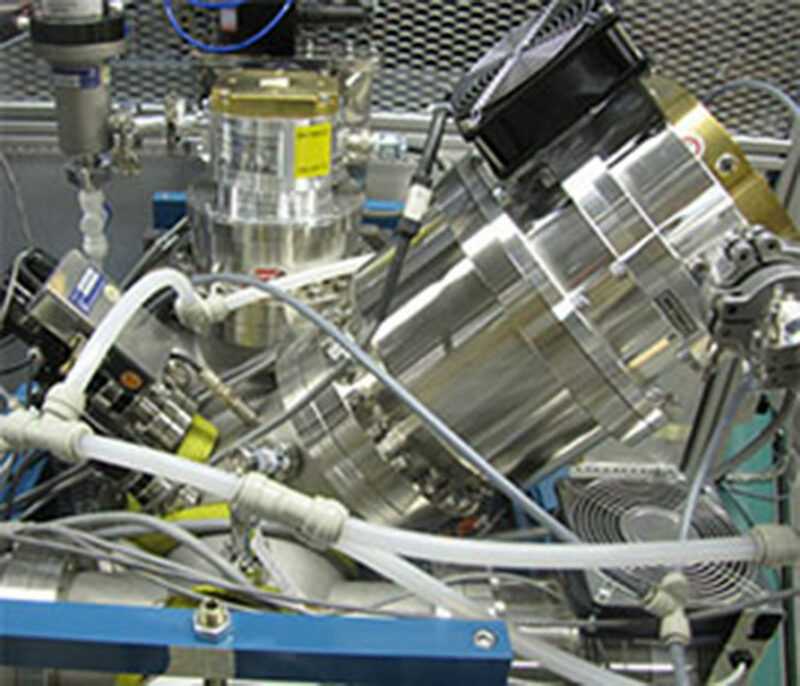 Positive Ion Mass Spectrometry (PIMS) is different from every other radiocarbon mass spectrometry technique currently on the market. 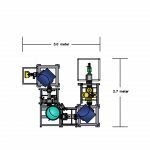 It uses an Electron Cyclotron Resonance (ECR) ion source to produce carbon beams directly from CO2. The positive carbon beams are accelerated from the ion source to a differentially pumped charge exchange gas cell. Interfering nitrogen and hydrocarbon molecules are eliminated during the charge exchange process. The beam is then negative. This is the opposite of traditional radiocarbon AMS systems, which usually start with a sputter source that creates a negative beam from graphitized samples. 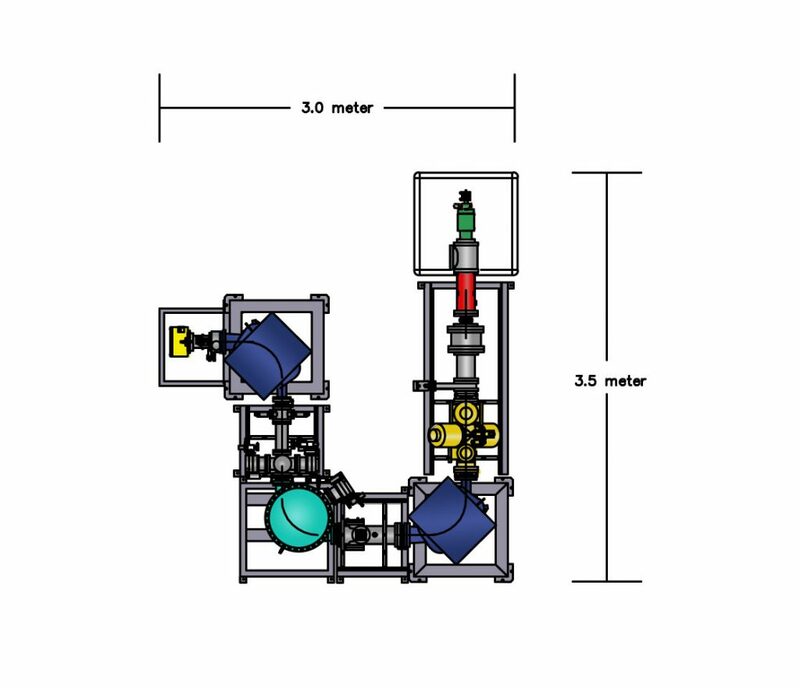 Injecting CO2 gas directly into the source removes the need to graphitize samples. Graphitization is a time and labor intensive process, often taking days or weeks to create enough samples to fill a sample wheel. This graphitization accounts for approximately 50% of the processing time per sample and it is also a potential source of sample contamination. By removing this cumbersome step, the PIMS technique reduces sample processing time by at least half. Why not just inject CO2 into a negative sputter source? 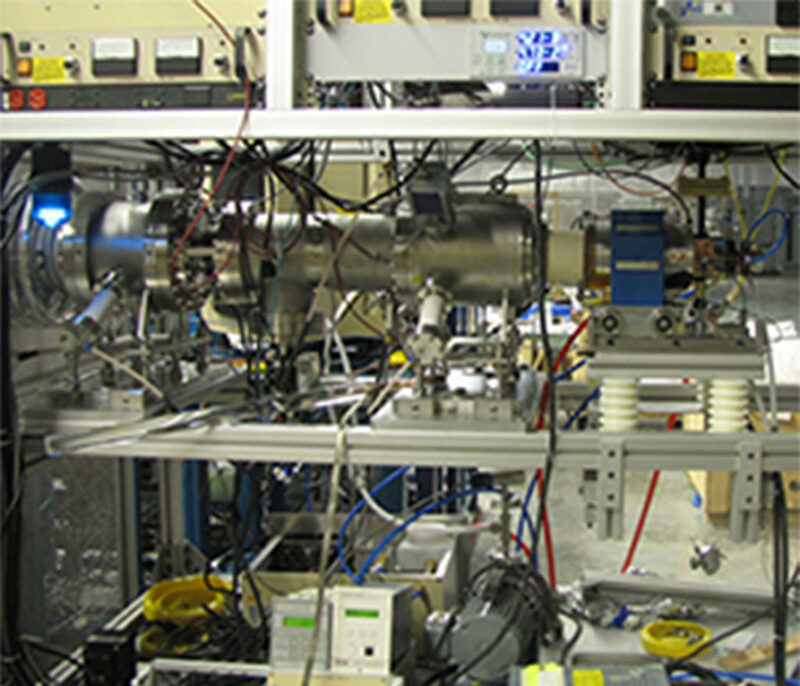 CO2 injection systems have been added to sputter ion sources for decades. However, the beam currents are often very small compared to traditional graphite and complicated methods are required. This means that extended measurement times are necessary, eliminating any potential gains from removing the graphitization step. An ECR ion source can efficiently provide beams up to 1 mA (or more) from CO2 samples, extracted as a positive beam. System backgrounds have been reported as >50,000 years. It is estimated that 13C beam currents will reach 400nA. The NEC PIMS system is the world’s first commercially available radiocarbon measurement system with the same beam currents and backgrounds found on traditional AMS systems without using graphite samples. 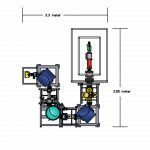 Why use a positive ion source? 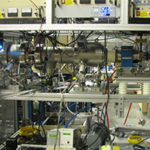 Positive plasma sources such as the ECR source produce large beam currents efficiently from gases, and when combined with the charge exchange cell in the NEC PIMS system, allows for a low-energy, small-footprint instrument. The traditional AMS technique depends on particle negative ionization to eliminate interfering atomic isobars (negative ion source) and the removal of remaining molecular isobars (gas stripper in accelerator). By utilizing a plasma source of positive ions, the PIMS technique combines the anion formation and molecule destruction in a thick isobutane open-ended gas cell. 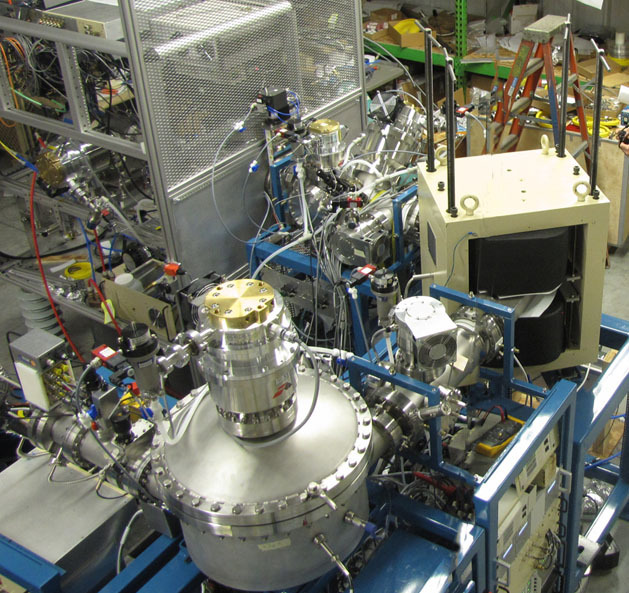 The source is intrinsically capable of very large ion beam production. An ECR source in particular has continuous flow, allowing the source to instantly be ready for samples. Traditional sputter sources take time to warm up each time they are turned on. For this reason, many users batch their samples to fill a sample wheel to reduce the warm-up time per cathode. 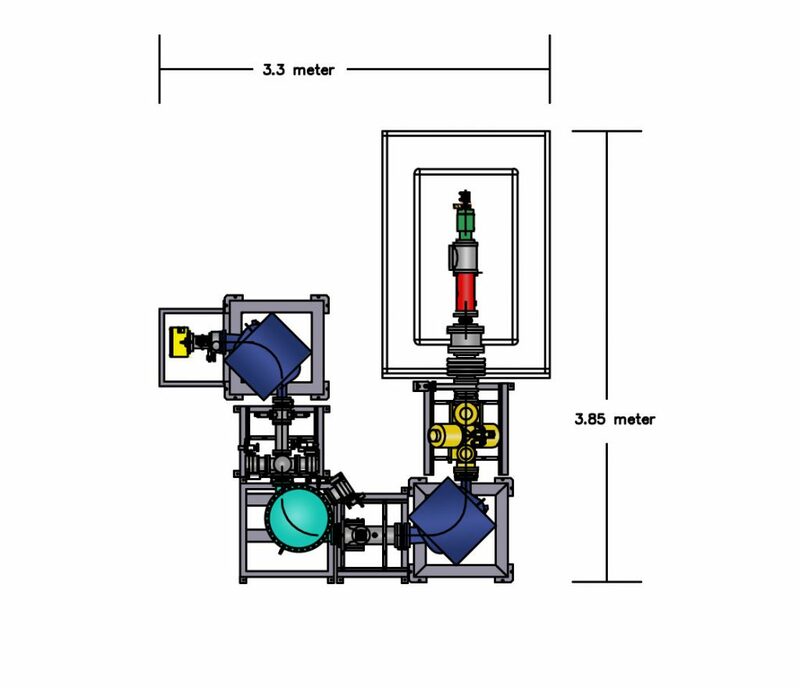 With no warm-up time needed with the ECR source, the user can run a single sample without sacrificing efficiency. 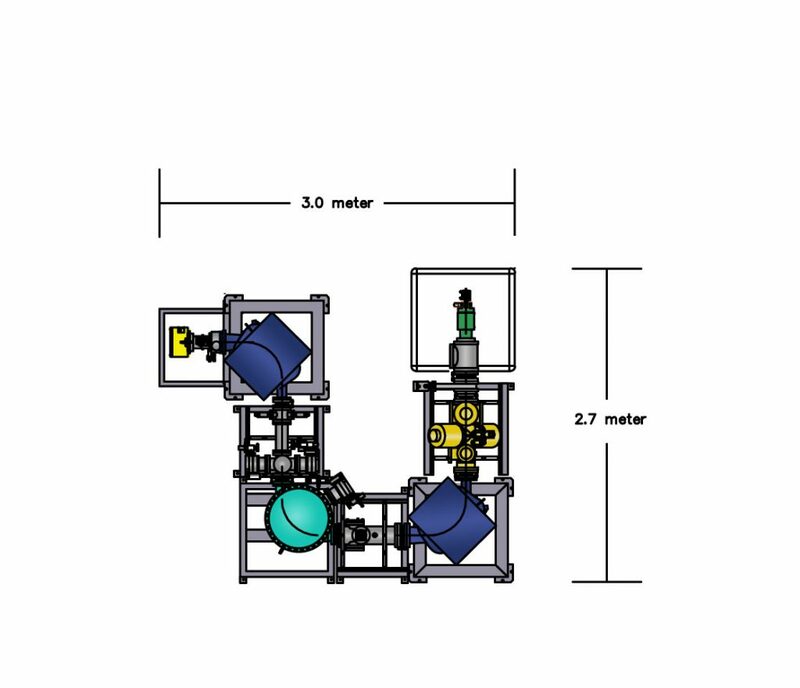 In addition, the ECR source is self-cleaning, has no memory effects, and does not require hazardous materials such as the cesium needed in sputter sources. 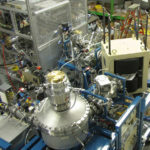 Work is underway to interface NEC PIMS systems with Elemental Analyzers, liquid chromatographs, and additional sample producing techniques.